We have a new product in stock from Carlson that I really wanted to highlight- it’s a premium olive oil with added omega 3’s called Olive Your Heart. As many of you know, omega 3s are absolutely crucial to our health- it’s not called an “essential fatty acid” for nothing! Omega 3s are important for both children and adults for their many benefits for brain function (including concentration and focus, reducing the symptoms of depression), heart and cardiovascular health (by reducing inflammation and lowering cholesterol and blood pressure), arthritis and more. Omega 3s cannot be manufactured in the body and must be obtained through diet. If you or your family members are not eating fatty fish or a good amount of flax and chia seeds multiple times a week, a deficiency in omega 3s are extremely likely. I love this olive oil by Carlson, because it’s an easy way to boost omega 3s in your diet. 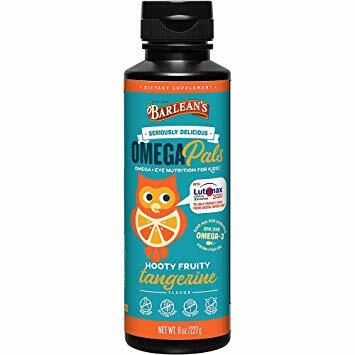 Even for people who take vegetarian sources like flax or chia I would recommend it since the omega 3s in flax and chia do not contain EPA or DHA, but rather ALA, which the body then converts to the necessary omega 3 forms, EPA and DHA. The trouble with ALA is that not everyone converts it at the same rate, that there’s really no way of knowing how much EPA and DHA you’re getting. This is especially important for brain and eye health, since it’s primarily DHA that gives those benefits. For more information on the differences in various forms of omega 3s, see our article, All About Omegas, here. When I first heard about this new “fish oil olive oil” by Carlson, I was skeptical, since who wants a fish flavored olive oil, even if you’re a fan of fish? Well, we tried the Olive Your Heart olive oil and everyone loved it, there was no fishy taste at all. I’m a vegetarian, so I just smelled it, but let me say this- I am extremely sensitive to the smell of fish, and there was no fishy smell at all. Even though we’re a vegetarian family, I do give omega 3s from fish oil to my second-grade daughter because the research on omega 3 fish oil, particularly DHA for children’s developing brains, is too important and conclusive. When I gave her a bit of Carlson’s Olive Your Heart on her pasta, she thought it was delicious, and didn’t notice any strange smell or taste. Liz, who works at the store, has also been using this omega 3 olive oil with her family (without advertising the fact that it contained fish oil) and they all think it tastes great. Fish oil supplements can sometimes be a pain to take, so this is a great tasting alternative to omega 3 softgels. Even for people who regularly take omega 3 supplements, it’s a great way to get an extra boost for your health. Click on any of the above photos to enlarge.